Keeping secrets is tough. Sometimes you’re really excited about something, and you just can’t keep it to yourself. That’s not a big deal when you mention what you bought somebody for their birthday, or that so-and-so from work is secretly pregnant, or that such-and-such is cheating on his wife, but it can be a big deal for video game studios. They put in tons of time and money into making their big announcements as exciting as possible, and then someone runs their mouth a little bit and suddenly the announcement is slightly less big and slightly less exciting. That’s what happened to Arkane Studios earlier today, when a video stream test accidentally revealed the existence of Dishonored 2, a sequel to 2012’s stylish magical assassination game. 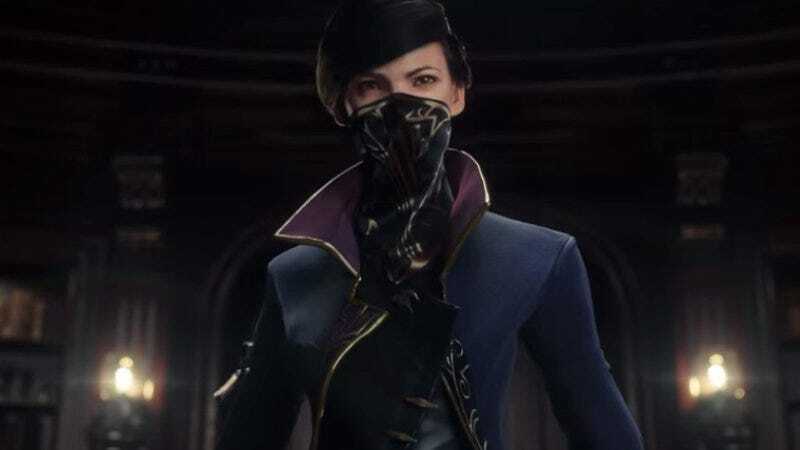 It took a little bit of the wind out of the sails of Bethesda, which is publishing Dishonored 2 and was scheduled to formally announce the game at tonight’s pre-E3 event. Still, it didn’t end up detracting from the actual announcement of Dishonored 2, which was still pretty exciting. All we saw was a computer-generated teaser trailer, but it showed off a new setting, new magical assassination powers, and a new female protagonist—Emily Kaldwin, a character from the first game. Of course, the video game industry being what it is, you can also play as the first game’s male protagonist, Corvo Attano. Dishonored 2 will be available for Xbox One, PlayStation 4, and PC in spring of 2016, and you can see the trailer for yourself below.